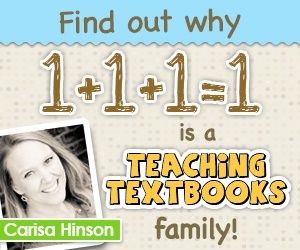 First, thanks to Carisa for creating Montessori Minute here on 1+1+1=1! It is wonderful to be associated with this outstanding blog. 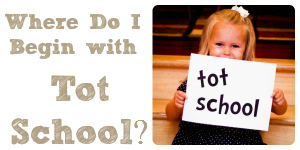 Many parents have questions about Montessori education and how they can apply it at home. 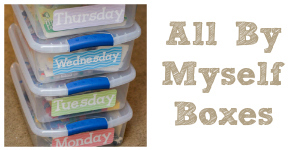 I am happily amazed at the response to my books and now to Montessori Minute! These posts are written to encourage and support parents who take the time and make the effort to work with their child during the most formative time of life. Before we get too many posts down the road, let’s cover some Montessori basics, hopefully in a way most relevant for parents wanting to do Montessori activities at home. I’ll also include some great resources for you to take a look at. Maria Montessori, 1870-1952. She pioneered a new perception of and respect for young children as being involved in the most important formative time of their lives. Montessori called a young child’s brain the Absorbent Mind. She developed a Prepared Environment and scores of unique learning materials to assist the natural growth and development of children. Under the guidance of two principal Montessori organizations, there are now over 20,000 Montessori schools in operation all over the world. In 1896 Maria Montessori became the first female in Italy’s history to obtain a medical degree. She focused her energy and scientific mind on the development of young children. Her observations and practical approach to helping children develop changed our perception of young children forever. Our understanding of the amazing importance of a child’s early years; our respect for young children; and the way child care professionals relate to young children, all originated in Montessori’s work. Montessori first observed children as a scientist. She had no educational agenda or preconceived ideas. She wanted to see what they would show her about their development. Her observations created a whole new way of looking at young children. She then created a practical approach to helping young children grow and develop – the Prepared Environment. The Prepared Environment debuted in Montessori’s first school, the Casa De Bambini. One reason questions still remain about Montessori is that she created an enormous body of work over decades. Fully understanding her work requires taking a teacher training course through one of the Montessori organizations. They do wonderful work training teachers and accrediting Montessori schools. My own training was through an American Montessori Society (AMS) course. Montessori saw children’s play as directed and purposeful. Guided by their “inner teacher”, young children spontaneously seek out the activities and experiences they need to develop. “Help me do it myself” was the statement of a child to Maria Montessori that best characterized this urge toward independence. It is like nature is shouting from inside the child, “I need to learn how to function in this world NOW”. Where does this leave our ipads, laptops, and smart phones? Hopefully in their proper place as interactive auditory and visual stimulators that make our children think and become familiar with technology, while they spend as much or more time handling actual objects, including learning materials. Montessori developed a large number of hands on materials to help children in their development – the famous Montessori materials. You will find these in all Montessori schools. 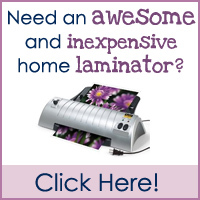 You can use them at home, too! Montessori did not develop an educational method or curriculum. She called her work a “Help to Life”. Montessori sought to assist the normal development each child experiences, so that it occurs in an optimal way. Her goal was to help young children realize more of their true potential. This meant following the child’s lead and trusting their inner guide. This is something parents can do. So you see, Montessori isn’t really so complicated after all! A Montessori Prepared Environment for preschoolers is a varied collection of hands-on materials & activities, displayed on low shelves so the children can choose what they want to do, acting within a structured social environment. You put it all out there and let them explore and discover through using the materials. They also learn to coexist and cooperate with each other in a special place just for children. Montessori experiences help children develop a positive, confident self-image. 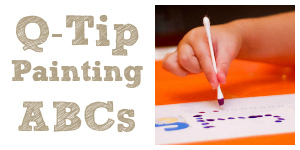 They do this by helping young children master actual skills and learn useful information. These tangible achievements are what give children a self-image of being competent, confident people. Once developed, that positive self-image is ingrained into a child‟s personality for life! 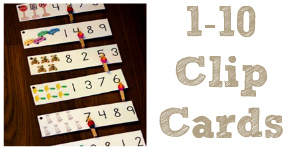 You Can Do Montessori Activities At Home! 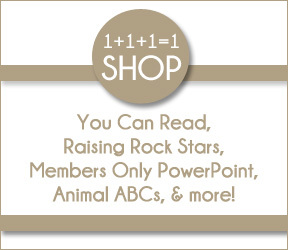 You can provide Montessori and other early learning materials for your child. You can follow her lead, chart her progress, set up shelves with materials displayed for her to use independently, work with her with many materials, and provide more challenging materials when she masters easier ones. You just need to know how and then put some energy into helping your child develop to more of his full potential. 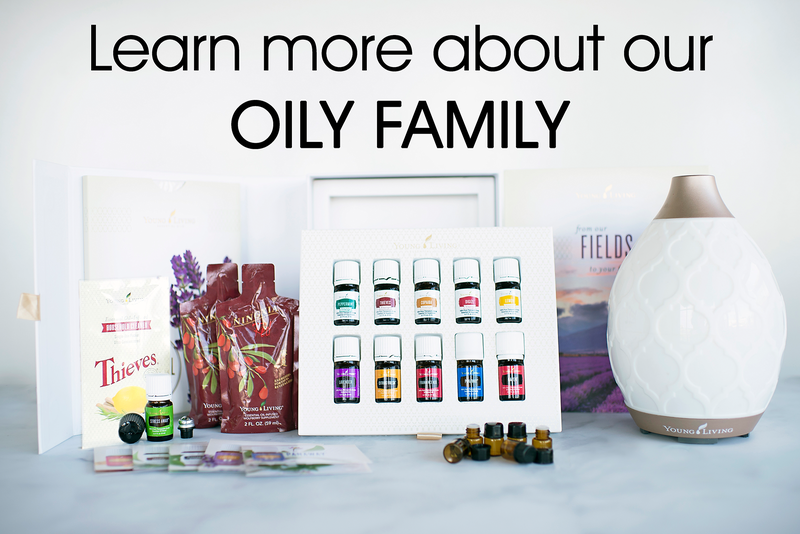 Doing learning activities at home can give parents the same wonderful feeling of accomplishment and closeness to their children that teachers experience every day. 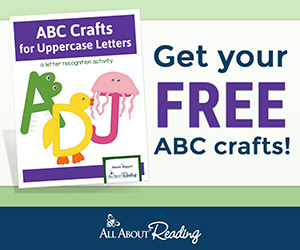 Early learning activities help children build stronger brains. For parents, they offer the immense satisfaction of participating in making that happen. A win-win! Many Montessori materials can be easily made using common household items or things found at a supermarket, home improvement center, or discount store. Montessori need not be expensive. The prices on many original Montessori materials have come down over the years, and many are very affordable now for use in the home. For around the cost of a fancy coffee drink a week over a two-year period, you can provide your child with a complete home selection of original Montessori materials. When your child is finished with them, they are an easy sell on Ebay or Craigslist. How to get started? Internet searches for Montessori at home will give you many jumping off points. 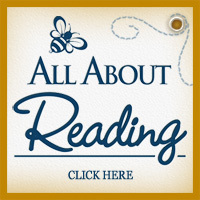 I‟m partial to my books, of course, which are listed at the end of the Montessori Minute posts. Montessori At Home! 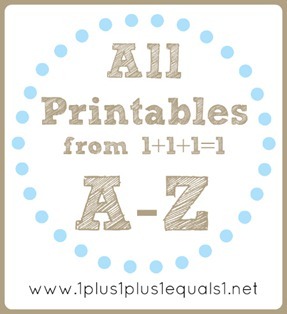 has extensive information on choosing and presenting activities, becoming a great home teaching parent, creating materials from common items, and clear descriptions of over 200 activities you can do at home. There are other great books out there also. Many Mom Blogs are written by current or former Montessori teachers and have many ideas for the home. Find guides you like and get started! Get familiar with the Everyday Life (also called Practical Life) and Sensory materials first. Find ones appropriate to your child’s age and interests. General activities like Sorting, Transfers, Sensory Bins & other Sensory activities (see the first Montessori Minute post), Nuts & Bolts, Banana Cutting, Bead Threading, Sewing with a plastic needle, Pattern Blocks, and the Montessori Pink Tower, Mystery Bag, and Binomial Cube appeal to a wide age range and are pretty fail safe for your first activities. If your child is 4 yrs. 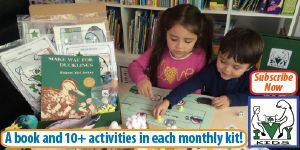 or older, get familiar with the Montessori sequences for teaching reading and math, as many children start showing a natural interest in these areas during their fourth year. 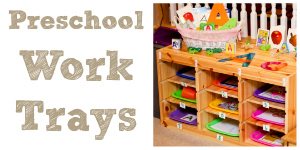 Make materials into attractive, organized, self-contained activities. Display these on low shelves rather than thrown into a toy box. Make them special. Allow opportunities for repetition and uninterrupted, independent work with materials your child finds really interesting. Repetition builds brain nerve networks! Montessori materials are sequential. When your child has mastered an activity or material, provide a slightly more challenging one. This keeps your child’s activities in the ‘Learning Sweet Spot’ – the subject of a future post! If you can establish the Activity Cycle at home, that is all the better. Your child makes a work space (table mat or floor rug), brings a material to it, uses it, puts the material back on the shelf and puts the mat or rug away. 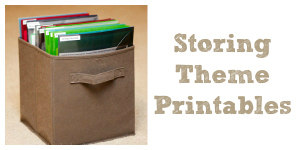 This teaches organization and bringing projects to a conclusion. It also helps focus attention. You won’t be able to fully replicate a Montessori preschool at home. Socialization and developing self-control are very important aspects of Montessori. Children in a Montessori school learn to exercise freedom within a framework of consistent rules – just like real life. They learn to function cooperatively with other children of varying ages. Socialization is a big benefit of a Montessori program. So, here’s something you can do: find other parents like you with preschoolers! Seek out other parents and make materials together. Share your experiences and learn together. Get your kids together in play and early learning groups. Put out some materials and let the kids choose among them and freely interact. As long as they don’t damage the materials and you can guide their behavior positively, they’ll figure it out. Let them do large muscle activities together, starting with the playground. Teach them to swim, do gymnastics, and maybe play soccer. These socialization experiences, combined with the learning materials you provide, will zoom your child’s development along and be wonderful preparation for school. You could even start your own blog! 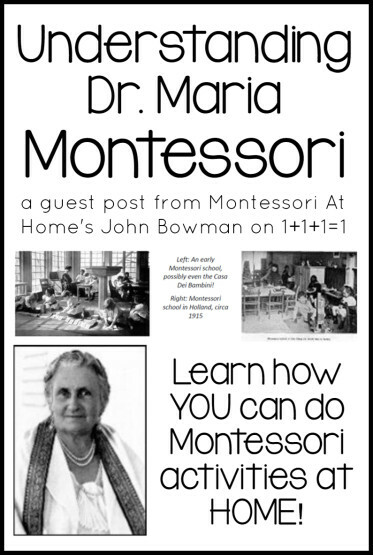 Montessori Minute will continue discussing aspects of doing Montessori activities at home. There are lots of great resources to help you get more information. 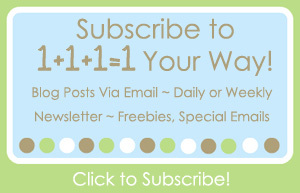 1+1+1=1 Montessori Minute’s host blog can help any parent get ideas for learning at home. developingchild.harvard.edu The Center for the Developing Child at Harvard university has a fantastic series of working papers to help you understand your young child’s development. amshq.org The web site of the American Montessori Society is a great source of information. montessorimom.com A must-visit site for parents doing Montessori at home. montessorimaterials.org Excellent site, many free and inexpensively priced materials for download. 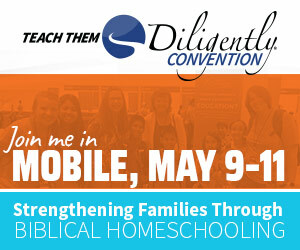 thehometeacher.blogspot.com Another really well done Mom Blog. 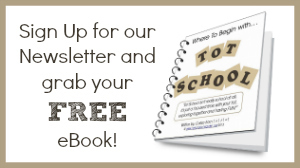 totschool.shannons.org Shannon’s blog has all kinds of great ideas for you. 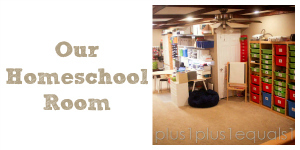 homemademontessori.blogspot.com A fabulous Mom Blog – visit Julie today. chasingcheerios.blogspot.com An incredible collection of activities. Check out the ‘Montessori’ link. activitymom.blogspot.com Activities organized nicely by type. Many activities are simple enough to do in a few minutes, yet are very effective learning experiences. Montessori At Home! 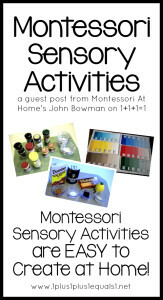 My 2011 ebook, available as a download or on a CD, is a 193 page, complete guide to doing Montessori activities at home. 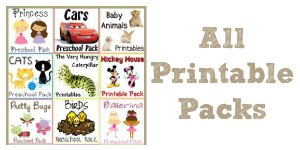 Includes 36 printable activity sheets. Teach Me To Do It Myself By Maja Pitamic. Published in 2004, many parents love this book. 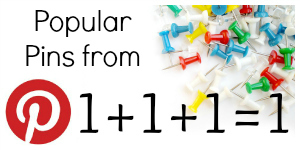 Clear descriptions, color photos, and many activities use common items. Help Your Preschooler Build a Better Brain This is my second book. It is a streamlined, condensed version of Montessori At Home!, in a paperback for parents who prefer a traditional book. How To Raise An Amazing Child the Montessori Way By Tim Seldin. An excellent book by the President of the Montessori Foundation. Mr. Seldin of course discusses the value of Montessori schools, and rightly so. Parents will also find a lot of useful information here on doing Montessori at home. 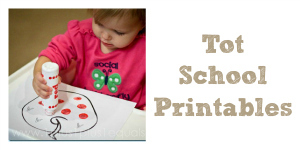 Teaching Montessori In The Home: The Preschool Years. Elizabeth Hainstock is a respected Montessorian who has authored many books. Parents will find this book a good source of background information on Montessori as it relates to the home. Thanks for visiting Montessori Minute!